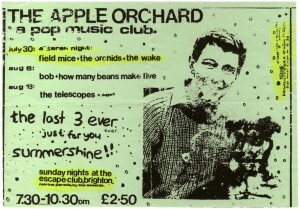 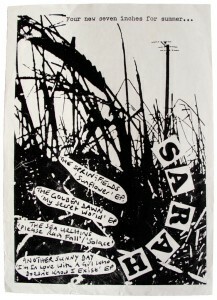 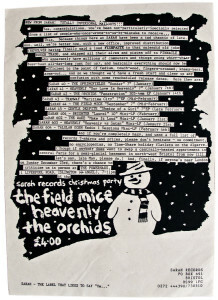 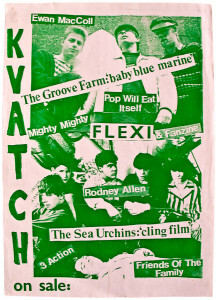 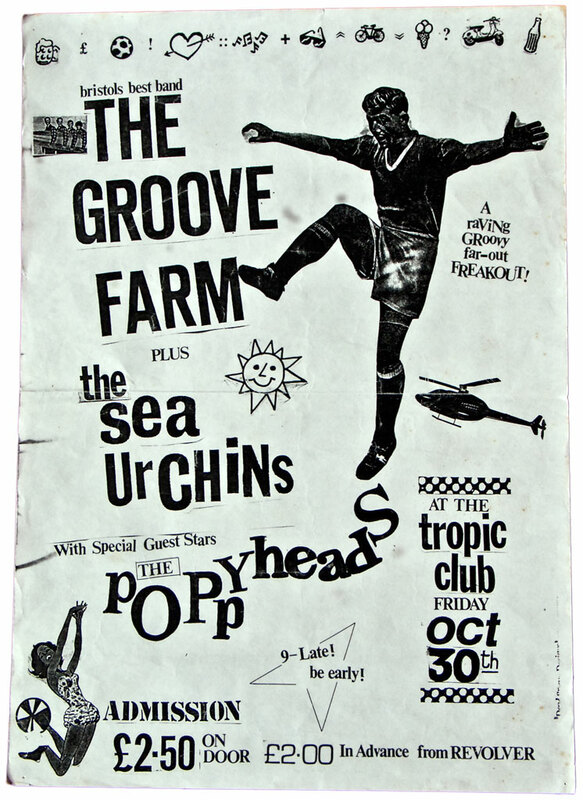 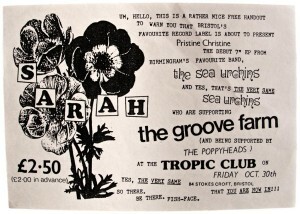 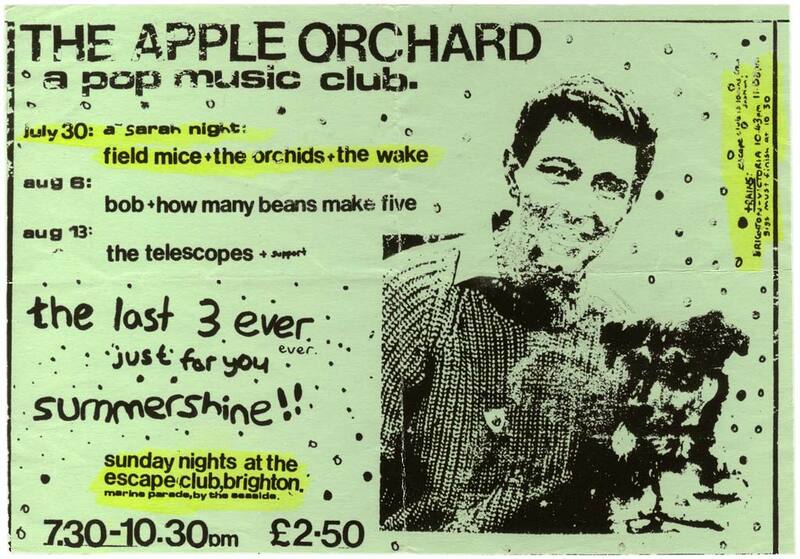 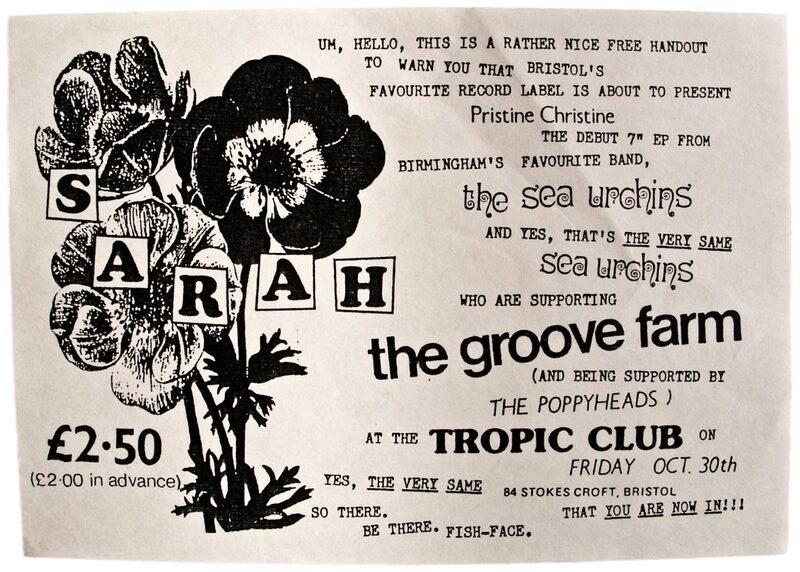 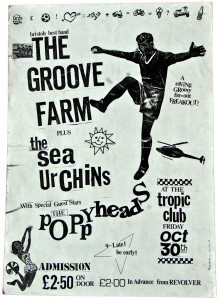 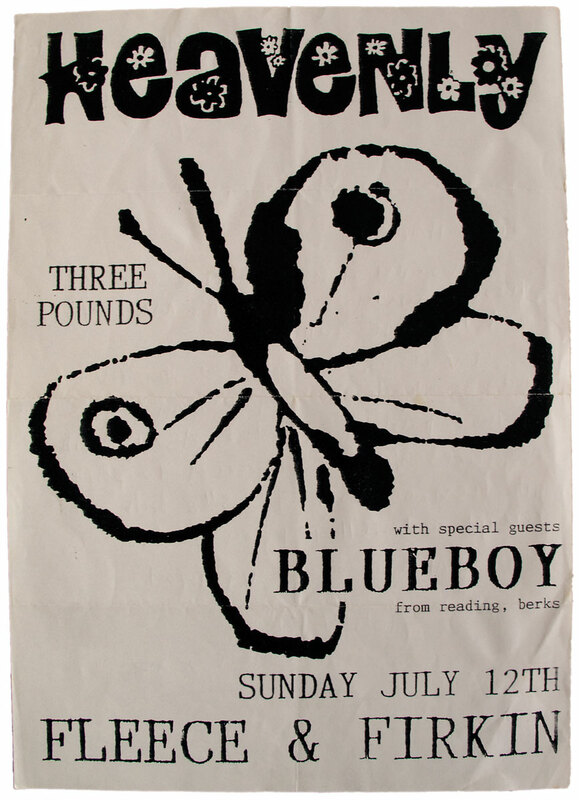 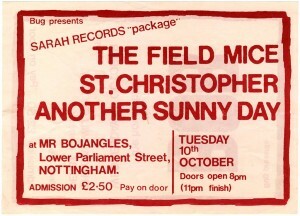 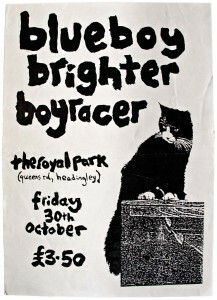 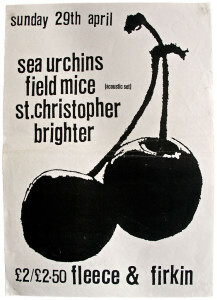 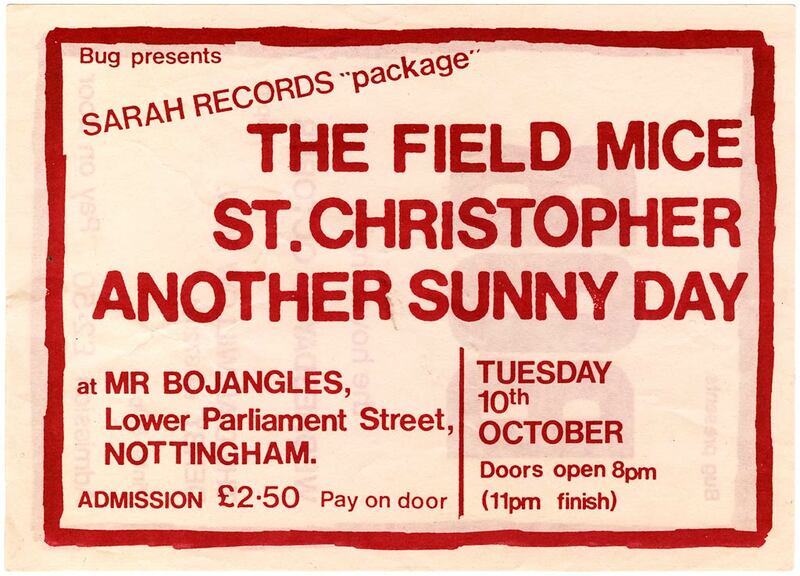 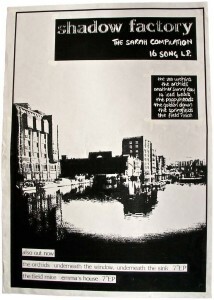 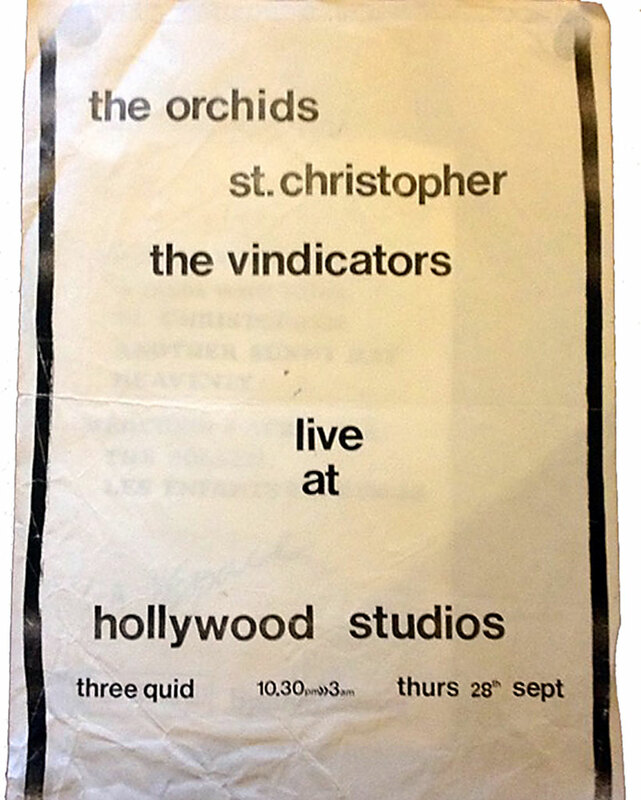 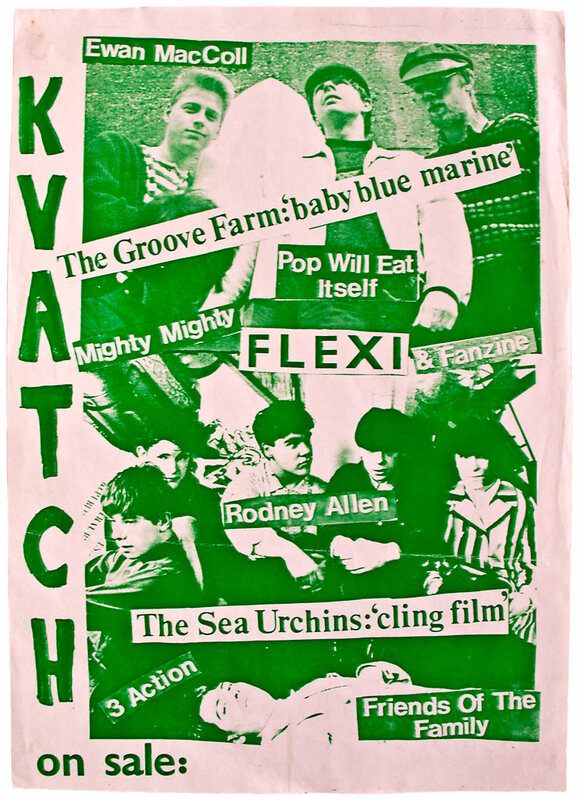 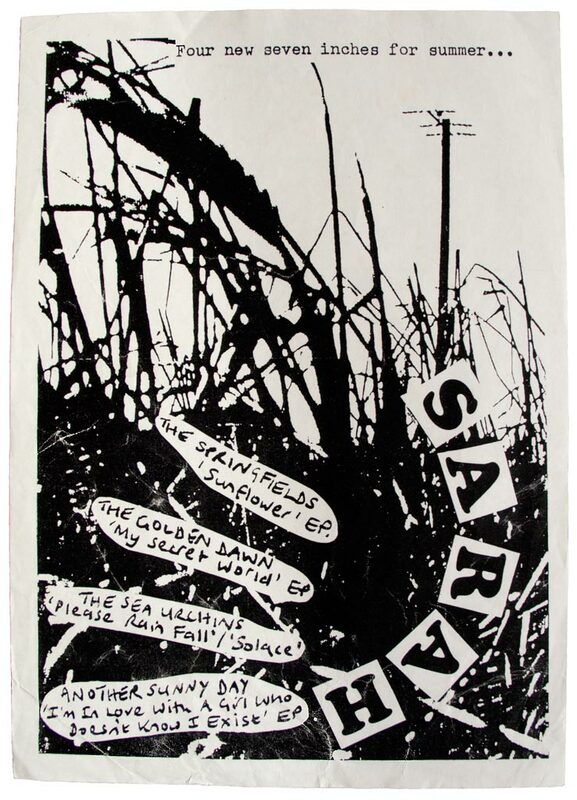 A poster from October 1987 advertising what was essentially a launch gig for Pristine Christine and thus the label itself, with the Sea Urchins and Poppyheads supporting Bristol’s Groove Farm (who designed the poster – I keep meaning to have a word about that missing apostrophe in “Bristol’s”) at the Tropic Club down on Stokes Croft, which is now all craft beer and cupcakes but back then was mostly secondhand furniture shops and ciderpunks trying to cadge 10p for UHU and Bulmers outside the anarchist squat in the old Volkswagen showroom on the corner of Ashley Road (see also: Have You Got 10p?, debut single by The Ejected on Bristol’s Riot City Records, home of Vice Squad). 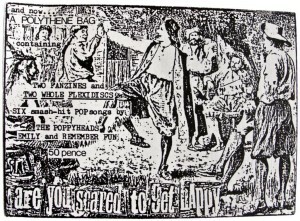 I’m rambling, but I thought you might like some context. I know I would. A night in Lausanne, Switzerland, where I’m not sure we’d ever sold a single record. 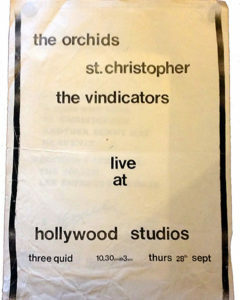 We also didn’t know, till we saw the freebies on the door, that it was sponsored by Marlboro. 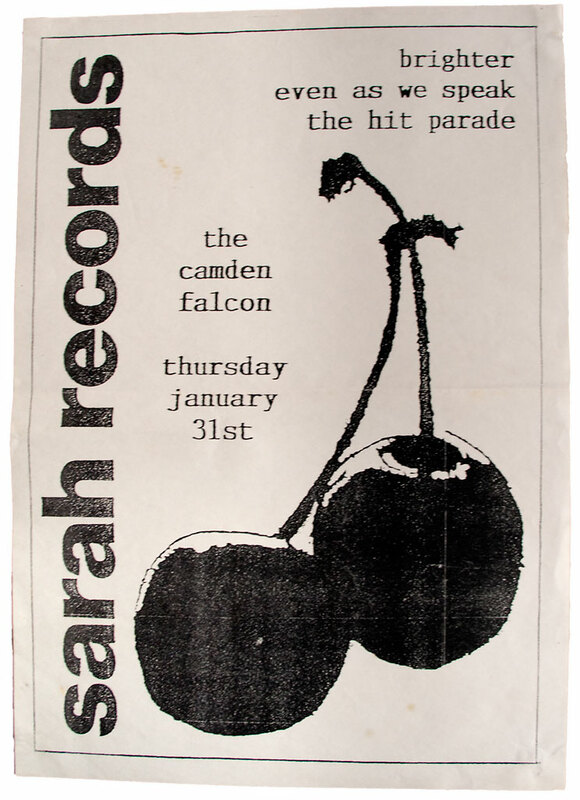 “Le décor vous appartient” translates roughly as “the decor is owned by you” – I’ve no idea what that means, but I’m sure Alison from Brighter would love to know who owned the bit of decor that split her head open during soundcheck. 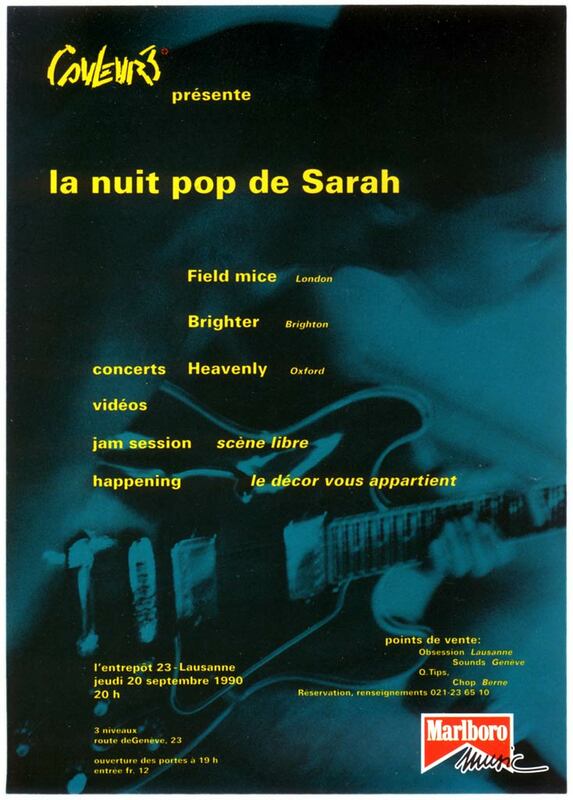 She still played, after a trip to Lausanne A&E, but in a bit of a painkiller haze, so probably didn’t notice the mass pogo that broke out when Brighter started, and stopped seconds later when everyone realised they weren’t the Damned. 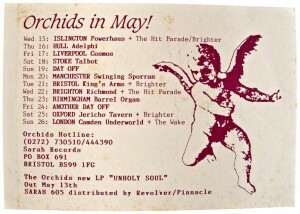 All very peculiar. 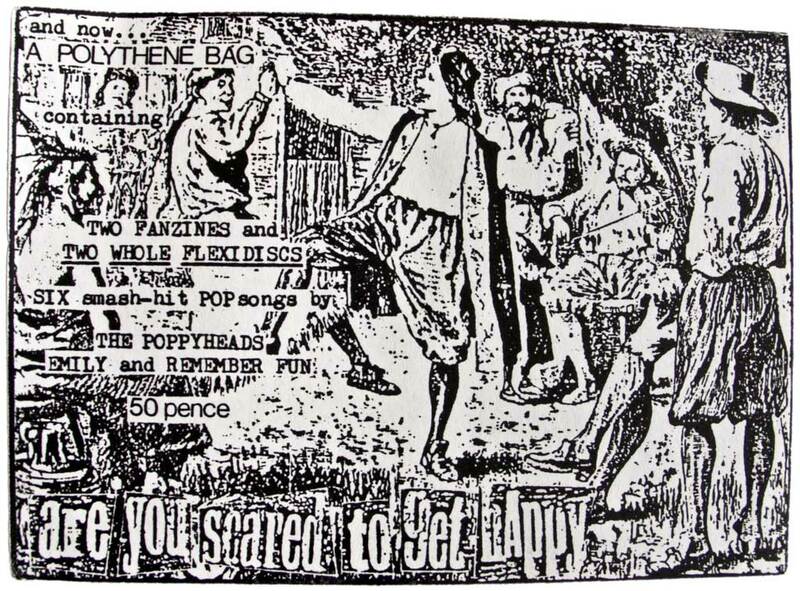 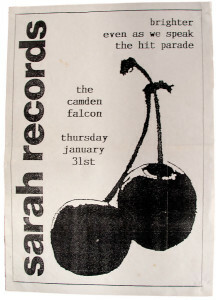 But probably what you’d expect from something that used the words “happening” and “jam session” on a flyer. 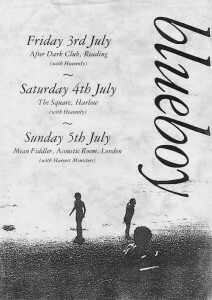 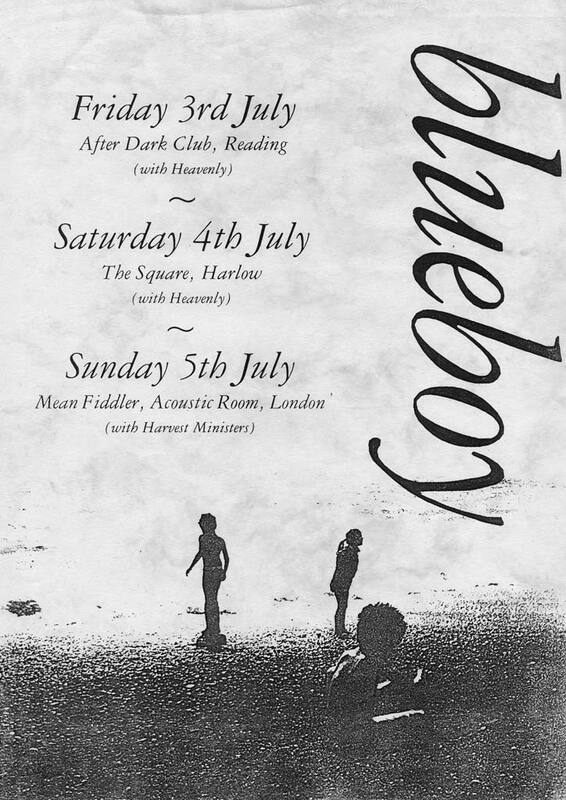 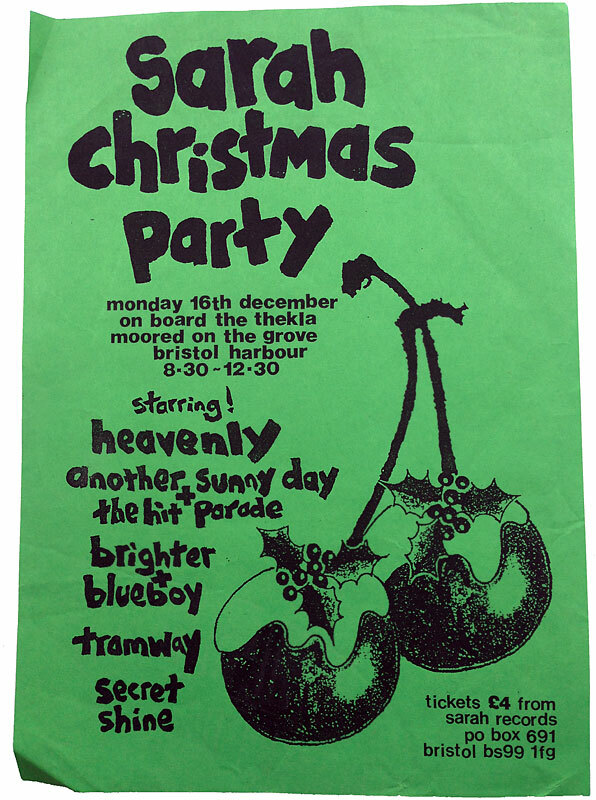 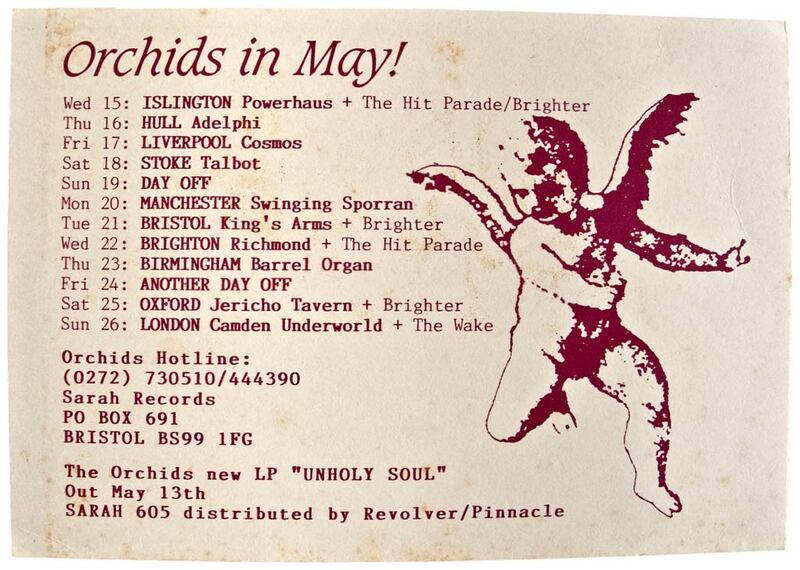 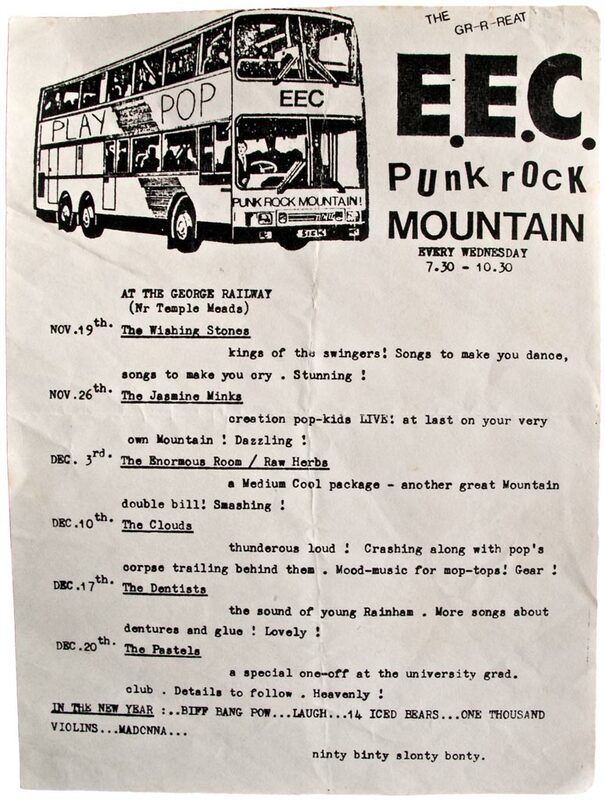 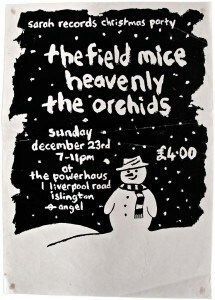 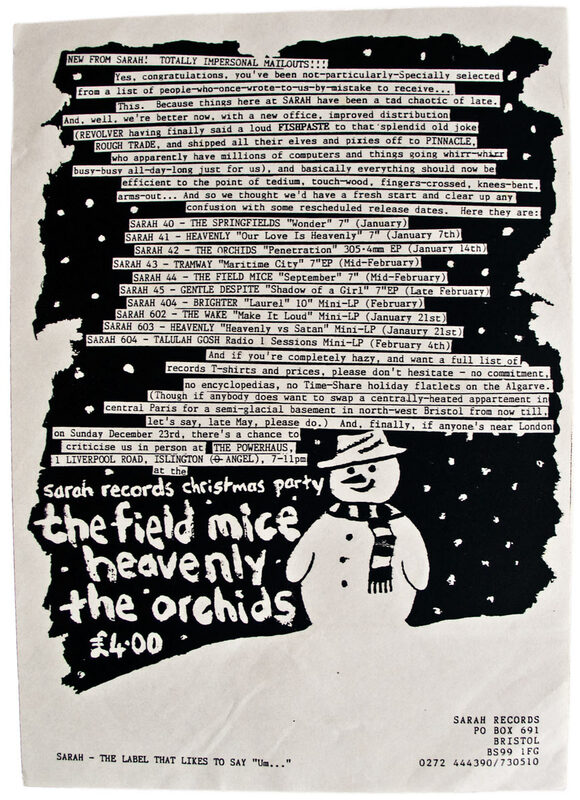 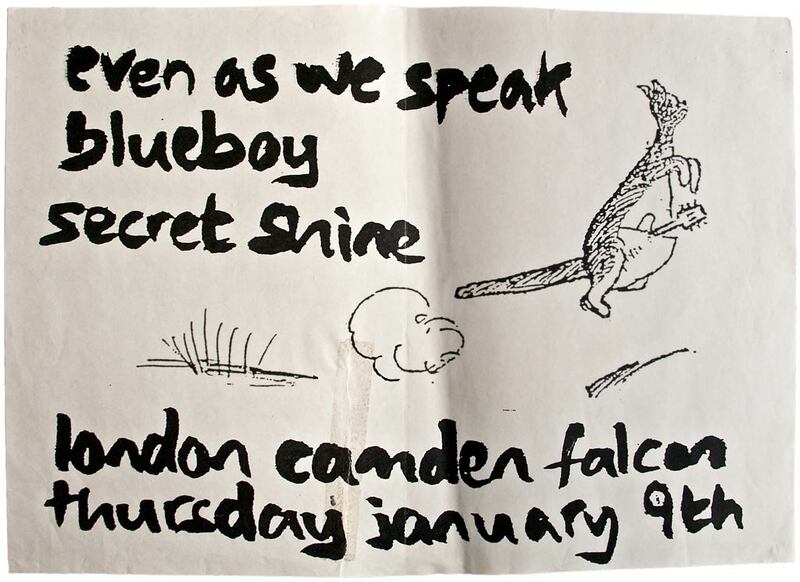 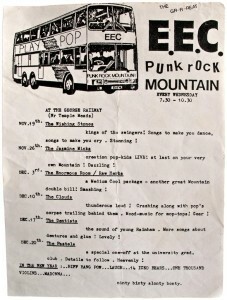 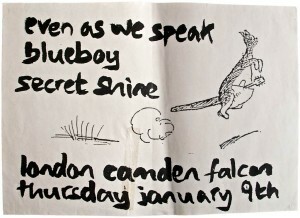 A flyer sent out in December 1990 announcing a change of distributor from Rough Trade to Pinnacle, as if anybody but us really cared, and our new releases for the start of 1991… and also the 1990 Christmas Party, which we seem to have organised for two days before Christmas… possibly not a good idea. 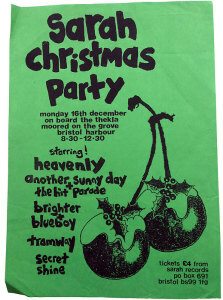 I think this was the only Christmas Party we did outside Bristol.